Lakeside exists to empower youth and families to overcome difficulties and achieve success through quality educational and treatment services. 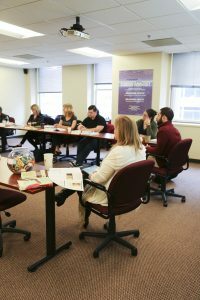 As part of this mission, in 2003 Lakeside established the Institute for Family Professionals (IFP) to provide ongoing professional development to social work, education and early childhood professionals in the Greater Philadelphia region. IFP was later renamed as Lakeside Global Institute (LGI). Sponsored by United Way of Greater Philadelphia and Southern New Jersey, LGI offers over 30 different courses and workshops, keynote addresses, seminars and training at conferences in the Northeastern United States. LGI is a collegiate-style professional development training. The uniqueness of our training is the intentional design which both nurtures and supports individuals to grow in self-awareness while learning research-based information in many fields of study. To learn more about how LGI and the Global Institute can serve your training needs, call us at 215-583-3630 or send us a message.